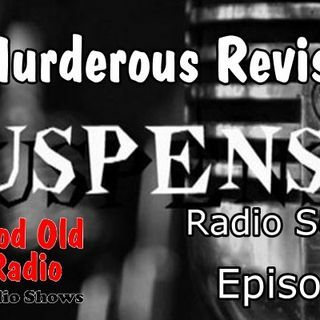 Today we feature Suspense: A Murderous Revision. were broadcast during its long run, and more than 900 still exist. Suspense went through several major phases, characterized by different hosts, sponsors, and director/producers. dropped into a threatening or bizarre situation; solutions were withheld until the last possible second; and evildoers were usually punished in the end. In its early years, the program made only occasional forays into science fiction and fantasy. Notable exceptions include adaptations of Curt Siodmaks Donovans Brain and H. P. Lovecrafts The Dunwich Horror, but by the late 1950s, such material was regularly featured.